Lynn Britt Cabin is a small mountainside venue with spectacular views in Snowmass which makes it a perfect location for an intimate Aspen wedding. Snowmass is a smaller, quieter town than nearby Aspen which is the perfect setting for a wedding. Lynn Britt Cabin is a romantic, rustic mid-mountain venue run by ASC Catering. The quaint cabin is capable of seating 65 for dinner inside or up to 400 outside with the use of a tent. The views of the valley below is a fantastic backdrop for the ceremony site. Guests arrive by shuttle, up a private service road which means you’ll have the area all to yourself. The adjacent aspen grove and wildflower meadow contribute to the mountain venue feel. 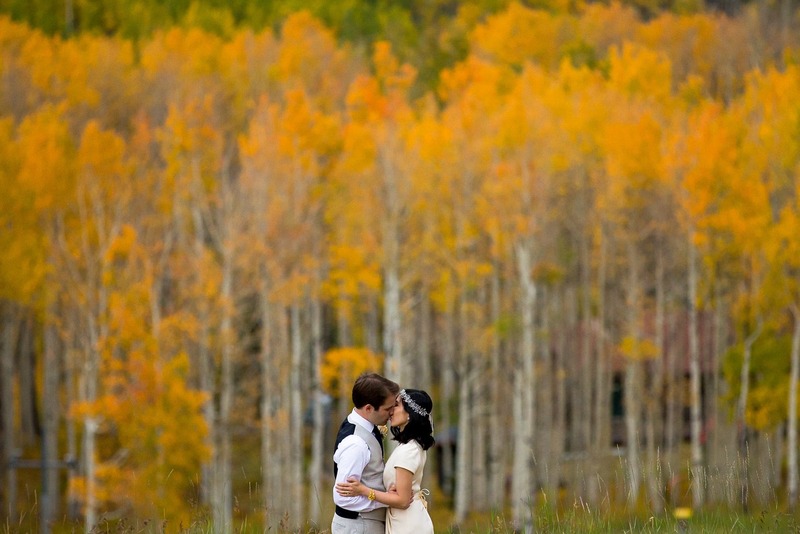 If you’re looking for a cozy wedding venue in Snowmass Village, this is a must see. This cabin is absolutely adorable and perfect for a smaller wedding. It's surrounded by aspen trees and in the fall the burst of color is an ideal backdrop for all of your photos. The fire pit is a lovely place to enjoy a cocktail with your guests under the night's sky.